Melvis and Francis met in the summer of 2012. Francis, a good family friend of Melvis family occasionally picks up her younger brother for soccer practice and games. Whenever he comes around he will have a chat with Melvis. Chats turns to full conversation over the course of time and Francis made his intentions known by asking Melvis hand in marriage…She said YES. 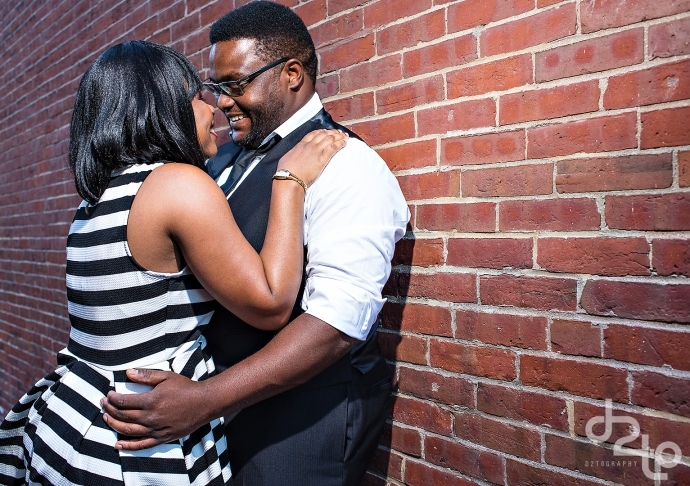 Melvis and Francis were very playful during their engagement session, it was so much fun capturing the love between both of them. I just can’t wait to cover their wedding later this year. Enjoy viewing their Engagement photos!